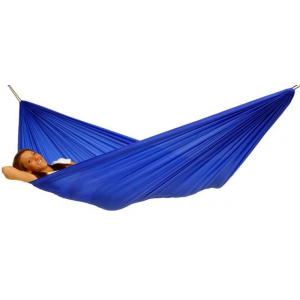 Room for two in an extra-large, feather-light parachute nylon hammock weighing just 24 oz. 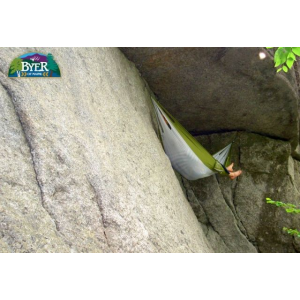 The Byer of Maine Traveller Lite XXL Hammock packs into a small carry bag for travel. Hand wash and hang dry. Weather-resistant, but should be protected from inclement weather. Imported. Open dimensions: 125L x 90W. Hanging points: 96106. Weight capacity: 375 lbs. Color: Red/Grey. Cancer and Reproductive Harm- www.P65Warnings.ca.gov. Color: Red/Grey. Type: Travel Hammocks. Sleeping in a hammock can be a cold and lonely prospect, but with the Byer of Maine Traveller Double Hammock you can cuddle up with a partner for a warm and sociable sleep swinging from the trees. 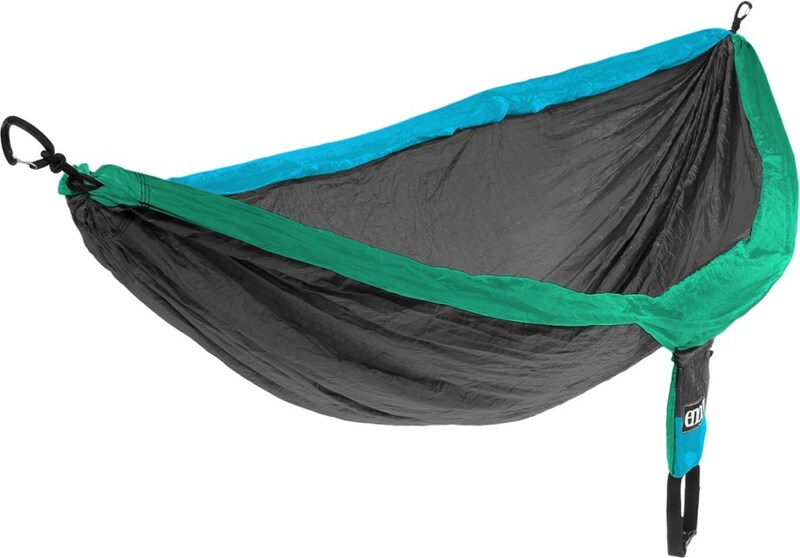 The XXL Traveller Hammock is the largest hammock Byer has ever offered. It's extra wide and long, yet it weighs only 1 lb. 8 oz. and fits into a small stuff sack. Amazonas Hammocks from Byer of MaineNow you can sleep as many Brazilians do, in these beautiful, brightly colored hammocks that are as big and comfortable as your bed. 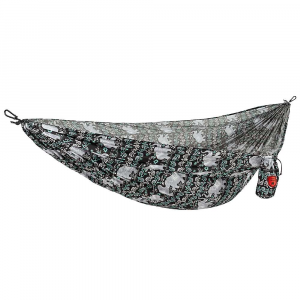 Amazonas hammocks are designed to hang loosely and deep in the center - you lie diagonally 'the Brazilian way' for maximum comfort and support. 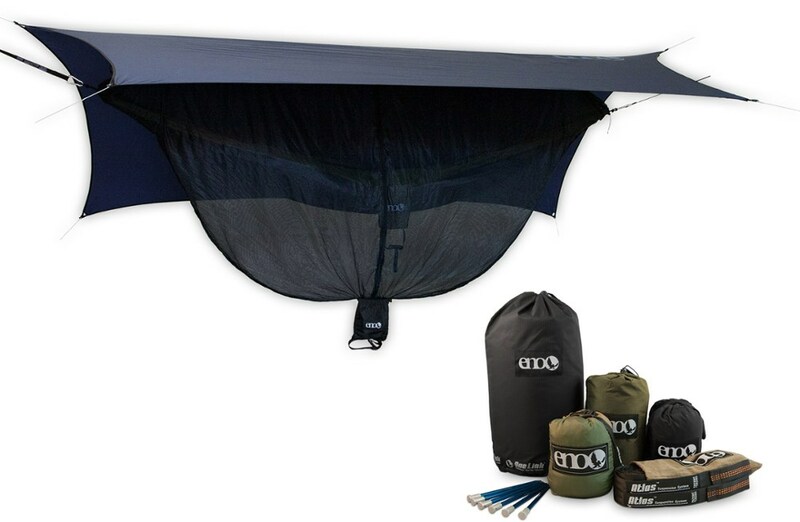 Your back stays straight and you can relax for hours.Made of extremely strong and durable parachute nylon.Nearly as large as a queen size bed yet weighs only about 11oz.Fits into a 8 in. x 4 in. bag, included.Perfect for backpacking, when space is tight and weight is a big consideration.Flat size: 54 in. x 84 in.Weight limit 250 lbs.Made in China.